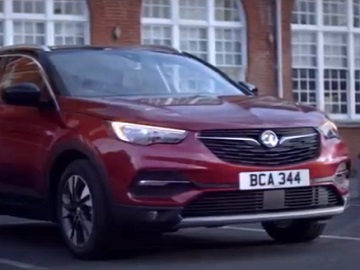 Vauxhall showcases the Grandland X in a new advert, highlighting that the car is now available with 0% APR and £0 deposit. “Life is a journey. Sometimes rushed. Sometimes taken a little bit slower. Sometimes exciting. Even a little scary. But not every journey is measured in miles. The best are measured in moments,” says the voiceover on the 30-second advert, which features a pregnant woman being taken to hospital by her life partner, another woman who drives a Grandland X Sport Nav 1.2 with metallic paint, silver-effect roof rails, dark-tinted rear windows, winter pack and keyless entry. At the end of the spot, the voiceover presents the Grandland X and adds the tagline “Keeps Calm. Carries On”. The Grandland X range includes Grandland X SE, the range starter, packed with plenty of stand-out driving technology and infotainment systems, with IntelliLink as standard, Tech Line Nav, which comes with all of the luxuries of the Grandland X SE plus navigation services built into the front touchscreen, Design Line, which “further builds on the attractive exterior with a high-contrast black roof, chrome window trim and stylish 18” bi-colour alloy wheels all specified as standard,” Sport Nav, described as “a genuine head-turner thanks to its sporty diamond-cut wheels and muscular attitude,” Elite Nav, with 19-inch wheels and all of the brand’s very best infotainment and driving technology made available, Ultimate, the range topper, which comes loaded with all of the brand’s best features.